Many of us have been fascinated with the world of firefighting and fire science since we were children. Who doesn’t get a thrill when they see a shiny fire engine roaring past, sirens blaring? Who doesn’t admire the bravery and skill of top firefighters? Some people never get over the “fire bug” and choose a fire science career. Whether you’re interested in fire safety engineering, fire prevention, or firefighting, there is something for you in our list of 50 best fire science blogs. This fascinating fire science blog from the University of Edinburgh in Scotland features news and items of interest from the world of fire safety engineering. Fire safety engineering is an important field of study which saves countless lives each year. The Fire Protection Research Foundation BlogThe Fire Protection Research Foundation’s blog is devoted to reporting the research activities of this independent, not-for-profit organization. Research conducted by the Fire Protection Research Foundation is intended to support the work of the National Fire Protection Association. The Fire Sprinkler InitiativeThe National Fire Protection Association has begun an initiative called “Bringing Safety Home,” which is intended to publicize the effectiveness of home sprinkler systems. While lobbying lawmakers to require use of such sprinklers, the blog also serves as a forum to refute “anti-sprinkler” sentiments. The Society of Fire Protection EngineersThe Society of Fire Protection Engineers hosts this blog, which is full of information on the field of fire protection engineering. Get news about conferences and continuing education around the world. Firehouse Blogs”Firefighter Dayna,” as she is known to millions of schoolchildren, writes this fire safety and prevention blog focused on educating young people. She provides resources for other fire safety educators. How to Become a FirefighterAn excellent resource for fire science job-seekers, the Firefighter Jobs blog is constantly updated with the latest firefighting job opportunities around America. Fire Service TodayFire Service Today is the National Fire Protection Association’s blog for firefighters. Firefighters can learn all about the science behind their protective equipment, read the latest research on sprinklers, or find out the date of the next training session. Firefighter SpotIf you’re interested in seeing video of real firefighters in action, Firefighter Spot is the place to go. Jason T. Poremba started the blog as a way to educate more firefighters about firefighting safety. By showing footage of close calls and dangerous procedures, he hopes that lives may be saved. VENTENTERSEARCH.comVentEnterSearch is a blog devoted to tips, tricks and techniques of aggressive truck company service. A whole page is dedicated to the question, “What’s in your pockets?” The idea is that every firefighter has specific ways to carry and store their tools, and that sharing these can help other firefighters learn. Firehouse BlogsThe “Craft of Fire” blog by Ed Hadfield is devoted to teaching and discussing firefighting strategy and tactics. He closely examines what happens in the line of duty—the good, the bad and the ugly—in an effort to keep more firefighters safe. Firefighter Close CallsFirefighter Close Calls compiles reports and video from firefighting accidents and close calls from around America. “The Secret List” page is a letter-blog written by Chief Billy Goldfeber, featuring advice and commentary on the day’s close calls. A Firefighter’s Own Worst EnemyJason Hoevelmann, a firefighting instructor for over 15 years, began “A Firefighter’s Own Worst Enemy” as a way to complement his instructional material. He examines the ways that firefighters make poor decisions and ways these can be prevented. S.A.F.E. FirefighterS.A.F.E. Firefighter stands for “Safe, Aggressive, Fundamental, Efficient.” This blog promotes firefighting strategy and techniques that allow firefighters to do their jobs in the best, safest possible way. In addition, firehouse leadership and cultivating excellence are discussed. Fire Special Ops“Fire Special Ops” refers to the difficult fields of hazardous materials and technical rescue. Knowing how to manage a hazmat situation or a difficult rescue might not be something a future student of fire science thinks of. However, these skills are important parts of a firefighter’s toolbox. Command SafetyChristopher Naum’s unique blog focuses on the issue of firefighter awareness in the area of building construction. He maintains that understanding the way a building is constructed and how it will react when burning is the most important piece of information when it comes to keeping firefighters safe. Structural Anatomy of Buildings on FireChristopher Naum also writes The Structural Anatomy of Buildings On Fire, an educational blog packed with technical information useful to today’s student of fire science. He is considered a leading authority on the behavior of burning structures. Brotherhood InstructorsBrotherhood Instructors is a firefighter training organization that specializes in providing hands-on training. 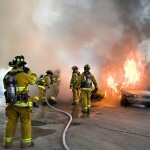 Their enlightening Online Drills blog provides photos of fire situations and points to discuss. Kurt KammKurt Kamm’s blog features real stories written by firefighters and paramedics. The author has written a novel about a wildland firefighter’s dangerous and thrilling life. U.S. FirefightersWhile not technically a fire science blog, this firefighting website is notable because it is a live feed of all the firefighting-related news from around America. 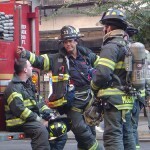 See news coverage as well as read reports of firefighter injuries on a state-by-state basis. Statter 911STATter911.com has been continuously updated since 2007. Written by a former firefighter who now works as a television and radio reporter, it features fire news and fire science commentary from the Washington D.C. area and around the country. Fire Geezer“Fire Geezer” is actually Bill Schumm, a retired fire captain who has been involved in some capacity in the firefighting industry for over 50 years. Along with his co-bloggers, he offers perspective on modern firefighting through a historical lens, interspersed with interesting fire news of the day. The Fire CriticThe Fire Critic is Rhett Fleitz, a firefighter with 15 years of experience. He combines thorough coverage of the “firefighter blogosphere” with fire science commentary, contests and product reviews. Chief Reason ArtChiefReasonArt is written by Art Goodrich, a 14-year fire chief now serving as a trustee with his local fire district. His blog entries are literary in style while still offering a vast amount of knowledge for the new fire science student. California Fire NewsCalifornia Fire News doesn’t have any fancy formatting or backgrounds. 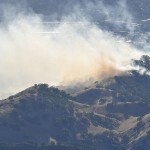 What it does have is a ton of information about everything related to California wildfires. Fire science enthusiasts will love this bare-bones blog. Roanoke FireRoanoke Fire Blog has been providing up-to-date news and commentary about firefighting in Roanoke County, Virginia, since 2005. Friends of the Roanoke County fire department can rely on this blog to stay abreast of everything as it happens. 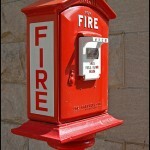 Texas FireTexas-Fire.com is an excellent source for Texas firefighting news. Incident reports and fire-related news items are organized into state regions for quick access. In addition, an entire section of the site is devoted to line-of-duty-death (LODD) reports. VA Fire NewsVAFireNews is a blog that discusses training, job opportunities, and news related to firefighting in that state of Virginia. An interesting aspect of this site is the “Apparatus” page where firefighters can share photos of new equipment they have acquired or unusual apparatus they have seen. LAFD News and InformationThe Media and Public Relations Department of the Los Angeles Fire Department updates this blog daily with news, photos and official statements from area fires. They also report line of duty deaths from departments across America. North Carolina Fire NewsFireNews.net features content related to firefighting in North Carolina. News articles and incident reports are updated continuously. The Kitchen TableThe Kitchen Table blog gives you an interesting “insider’s view” into the online community of firefighters. Firefighters from around the world gather here to post their opinions about diverse topics from the politics of firefighting to specific firefighting techniques. Fire ChiefMutual Aid is a blog hosted by Fire Chief magazine, directed at fire chiefs and other organizational leaders. Topics of discussion include department policy, firefighting safety, and new technology. The Fire PIOThis often witty and incisive blog from Jeff Bressler is about the role of the Public Information Officer in fire departments. He discusses marketing techniques, policy, public relations strategy, as well as using social media. Tiger SchmittendorfTiger Schmittendorf is an experienced trainer, public speaker, firefighter, and marketing consultant who writes this frequently updated blog. His blog, while geared mostly toward people already in a fire science industry, has inspirational words for everyone who has ever wanted to be a firefighter. Firehouse ZenFirehouse Zen is written by Mick Mayers , a Battalion Chief with the Hilton Head Island, SC Fire and Rescue Department. His well-written and thoughtful blog deals with issues regarding effective firehouse leadership, dealing with change, and getting the best out of your firefighters. Firehouse BlogsTim Butler wrote this entertaining and eye-opening blog. Chief of the St. Paul (Minn.) Fire Department, he decided to return to fire academy to experience the life of a trainee once again. The blog, now completed, chronicles his 61-day journey. Australia Bushfire MonitorThis blog is sure to be of interest to any serious student of fire science. Australia is known for its devastating wildfires, and Australia Bushfire Monitor provides reports of current conditions throughout the country. In addition, you can see many excellent satellite images on this blog. Firefighter BlogThis blog, started by retired fire captain Mike Morales in 2004, is focused on covering large wildfires and their impact on communities. When a fire makes the headlines around the world, you can be sure that Mike will cover it on his blog. Los Angeles TimesThe Los Angeles Times provides this blog about area wildfire conditions as a part of their main news blog. In addition to news about the fires themselves, this blog covers cleanup and restoration efforts. Wildfire TodayBill Gabbert has been blogging about wildfires around America since January of 2008. Not affiliated with any particular organization, Gabbert’s blog combines photos and news items of interest with an excellent FAQ page on wildland fire and firefighting. Wildfire BlogWhile presented in a blog format, this website presents the best of wildfire news and opinions from around the Internet, linking to the original articles. The website also features a wildfire jobs board where job seekers and potential employers in the specialized field of fire science can connect. Wildland Fire LeadershipThis is the official blog of the U.S. Wildland Fire Leadership Development Program. It was created to provide educational opportunities for wildland firefighters and to promote a culture of leadership in the wildland fire service. Golden Eagles HotshotsThis is a fascinating look at the daily operations of the Golden Eagles Hotshots, one of nine Native American Bureau of Indian Affairs wildland firefighting crews in the United States. Based on the Sycuan Indian Reservation, the crew was organized in 2000. Contractors in FireThe National Wildfire Suppression Association consists of over 200 private fire contractors around America. Contractors in Fire is their official blog, devoted mainly to public policy and professional development. International Association of Wildland FireThe International Association of Wildland Fire’s blog is an important resource for the fire science student wishing to stay informed about wildland fire research. Conferences and webinars are often announced via this blog.